Abstract：To investigate the effect of different temperatures on digestive enzyme activities in Phrynocephalus forsythii and Eremias multiocellata, the amylase activity (iodine-starch colorimetry), lipase activity (turbidimetry) and trypsin activity (ultraviolet absorption method)in the liver, stomach and duodenum samples of P. forsythii and E. multiocellata under different temperatures were assayed, respectively. The results showed that in the temperature range of 4-45 ℃, the digestive enzyme activities increased first and then decreased with temperature increasing. At 40 ℃, the activities of amylase, lipase and trypsin in the liver, stomach and duodenum of P. forsythii reached the highest level, while the temperature for the highest enzyme activities of E. multiocellata was 35 ℃. These results suggested that the digestive enzyme activities of P. forsythii and E. multiocellata were related with temperature and this relationship also involved the physical states of lizards at different temperatures. Moreover, these findings revealed that the acclimation temperatures of the 2 lizards were significantly different when digestive enzyme activities were maximal, and these were accordant to the preferred temperature of the 2 lizards. 陈卓, 安蓓, 李仁德. 2004. 温度对荒漠沙蜥肝脏组织中SOD活性的影响[J]. 兰州大学学报(自然科学版), 40(6):83-85. 戴昆, 马鸣. 1991. 新疆南部三种沙蜥对山地及荒漠的适应性初报[J]. 干旱区研究, (1):47-49. 姜鹤, 孔繁东, 刘兆芳. 2016. 温度、pH及金属离子对大连虾蛄消化酶活性的影响[J]. 保鲜与加工, 16(4):84-88. 李仁德, 陈强, 刘迺发. 1996. 温度对蜥蜴血红蛋白及血浆总蛋白浓度的影响[J]. 动物学报, 42(3):247-252. 李仁德, 刘迺发. 1992. 环境温度对荒漠沙蜥和密点麻蜥体温的影响及其对环境温度的选择[J]. 动物学研究, 13(1):47-52. 李仁德, 刘迺发. 1994. 温度对蜥蜴腓肠肌ATP酶活性影响的研究[J]. 动物学报, 40(1):45-50. 李仁德, 宋志明. 1990. 温度对荒漠沙蜥能量代谢、呼吸和水分蒸发的影响[J]. 兰州大学学报(自然科学版), 26(4):207-112. 刘迺发, 李仁德. 1999. 荒漠蜥蜴的生态研究[J]. 兰州大学学报(自然科学版), 35(3):126-133. 潘鲁青, 刘泓宇, 肖国强. 2006. 甲壳动物幼体消化酶研究进展[J]. 中国水产科学, 13(3):492-501. 钱亚群, 牛翠娟. 2006. 荒漠蜥蜴的温度适应策略[J]. 生物学通报, 41(12):7-9. 张建红, 侯天德, 王小龙, 等. 2009. 密点麻蜥几种组织SDH和LDH活性对温度的适应[J]. 四川动物, 28(1):94-95. 张鹏, 袁国映. 2005. 新疆两栖爬行动物[M]. 乌鲁木齐:新疆科学技术出版社:104. 赵伟民, 侯天德, 程昉. 2010. 温度对白条锦蛇代谢率和不同组织ATP酶活性的影响[J]. 四川动物, 29(6):971-974. Bennett AF, Licht P. 1972. Anaerobic metabolism during activity in lizards[J]. Journal of Comparative Physiology, 81(3):277-288. Iglesias S, Tracy CR, Bedford GS, et al. 2009. Seasonal effects on intestinal enzyme activity in the Australian agamid lizard, Lophognathus temporalis[J]. Comparative Biochemistry & Physiology, Part B, 153:89-94. 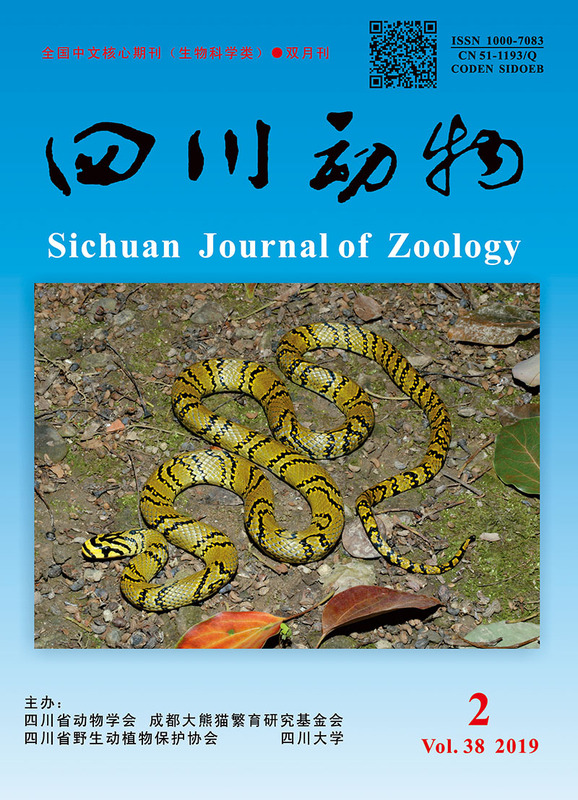 Luo W, Zhao YL, Zhou ZL, et al. 2008. Digestive enzyme activity and mRNA level of trypsin in embryonic red claw crayfish, Cherax quadricarnatus[J]. Chinese Journal of Oceanology and Limnology, 26(1):62-68. Naya DE, Veloso C, Sabat P, et al. 2011. Physiological flexibility and climate change:the case of digestive function regulation in lizards[J]. Comparative Biochemistry & Physiology, Part A, 159:100-104. Precht H, Christophersen J, Hensel H. 1957. Temperatur und leben[J]. Quarterly Journal of Experimental Physiology & Cognate Medical Sciences, 42(2):233-234. Prosser CL, Ayers J. 1985. Evolution of temperature regulation and of constancy of function (homeokinesis) at different temperatures[M]. New York:Evolutionary Biology of Primitive Fishes:362-428.